Enjoy the city from the special view of an open-top bus, learning about both past and present. You can hop off the Big Bus tour at multiple stops, all set at great attractions and neighborhoods. You control your stay at any stop. Then hop back on board another bus and continue your trip. No reservations needed for Big Bus tour. Activate and take it any day before or after Alcatraz. See details on tabs. 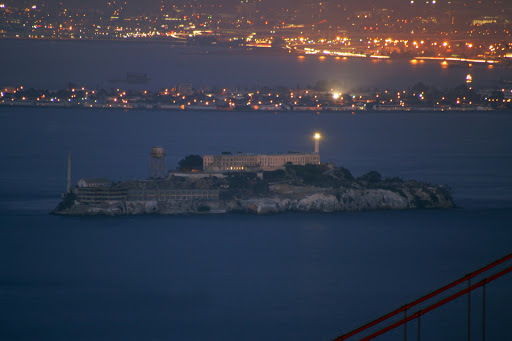 Alcatraz Night Tour Face Value = $47.30 Adults, $46.25 Juniors (12-17), $44.00 Seniors (62+), $28.00 Kids (5-11), Free (0-4). Please arrive 30 minutes early. 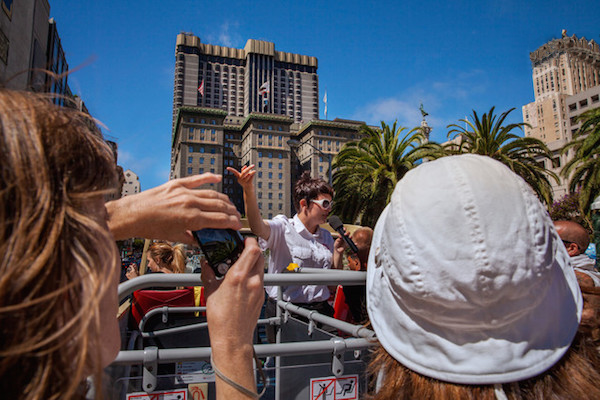 No Hotel Pickup.Your tour begins with a 10-15 minute boat trip from Pier 33. 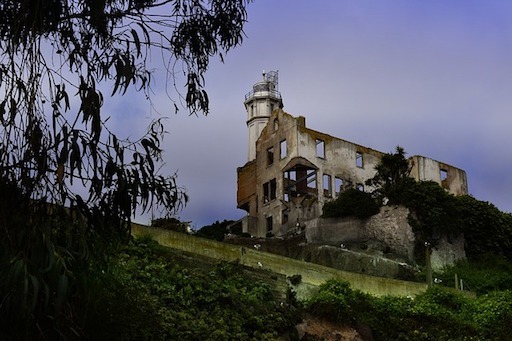 Expect your stay on Alcatraz Island to last 1.5 to 2 or 2.5 Hours. Boats return every 30 minutes. All adults 18+ years old are required to present a government-issued photo ID to pick up tickets. 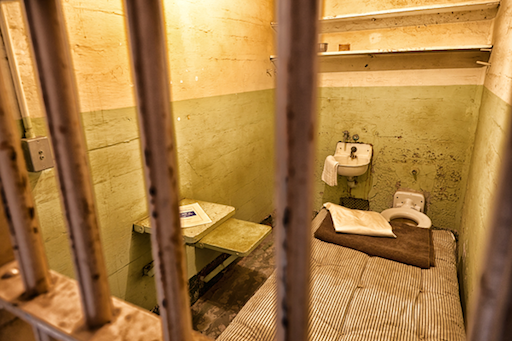 This 3 hour round trip puts you inside America’s most infamous prison. A Guided ferry trip circles the island before docking. From the boat you’ll see hidden spots used for attempted escapes, and prison structures unreachable by foot. Upon docking, your visit will be less crowded than tours at midday, and you’ll be led up the hill to the Cellhouse itself, hosted by an experienced docent. You will stop along the way to discover the island’s history, from before the U.S. Civil War to family life of the prison staff. For guests unable to make the climb, a tram is available, although it would miss the docent tour. 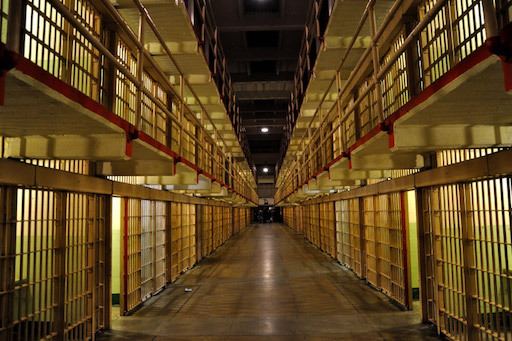 You will go through the Cellhouse at your own pace. The award-winning audio headset tour is included. Available in Dutch, English, French, German, Italian, Japanese, Korean, Mandarin, Portuguese, Russian, and Spanish. 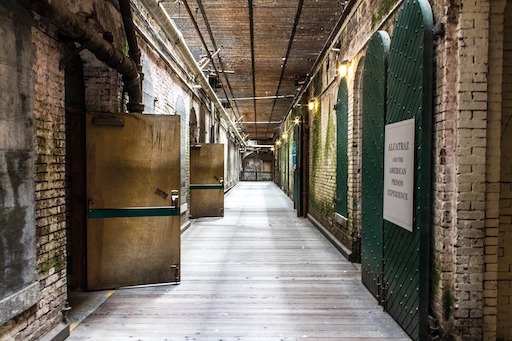 You’ll see solitary confinement cells, and hear dramatic stories from actual prisoners and correctional officers who lived or worked on Alcatraz. Stop at the bookstore, or walk through the recreation yard. Special Park Programs and a history video produced by the Discovery Channel are available during the evening. Fantastic views of the San Francisco skyline, the Golden Gate Bridge, and the San Francisco Bay are free! Big Bus’ primary red line loop tour goes over the Golden Gate Bridge and stops at the north end Vista Point for terrific views. 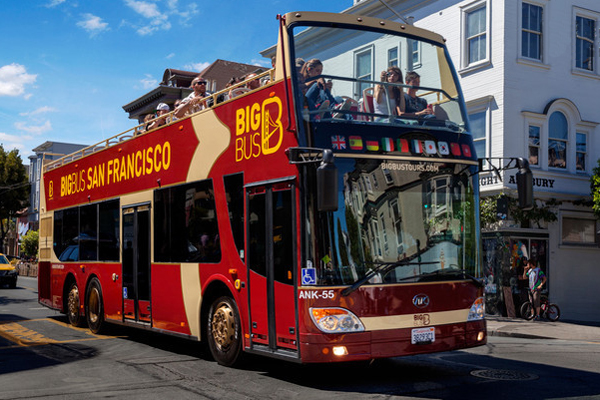 Other key stops are located at or near: The Haight/Ashbury district, Victorian homes, Chinatown, North Beach, Union Square, Financial District, Golden Gate Park, City Hall, the Palace of Fine Arts, Lombard Street, and more. Every other bus includes entertaining live commentary and recorded commentary in 10 languages is always available. English, French, German, Spanish, Italian, Korean, Brazilian Portuguese, Japanese, Cantonese or Mandarin Chinese. 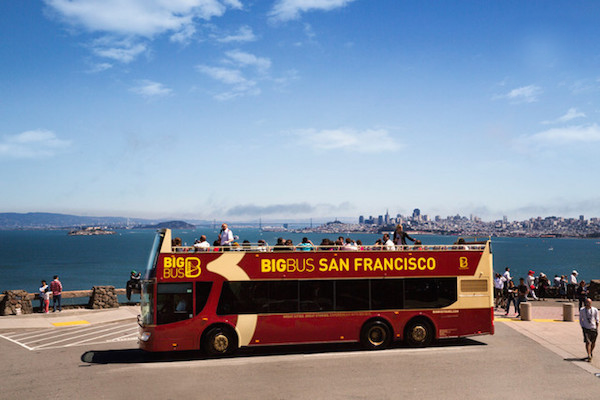 Trade in your voucher from DiscoverTown Tours for a time-stamped ticket from Big Bus. This can be done with the driver at any stop or with the agents at Union Square on the NE corner of Geary and Powell or at the Big Bus Visitor Center at Stop #1, 99 Jefferson Street at Fisherman’s Wharf. Your ticket is activated when you first get on any bus. It will last the rest of that day. NO RESERVATIONS NEEDED. Buses run 9am – 5pm daily. Buses run every 10 - 20 minutes in summer and every 20 - 30 minutes in winter. The first bus departs at 9:00am from Fisherman's Wharf. The complete tour lasts approximately 2.25 hours; however you can start and finish the tour at any of our hop-on, hop-off bus stops. 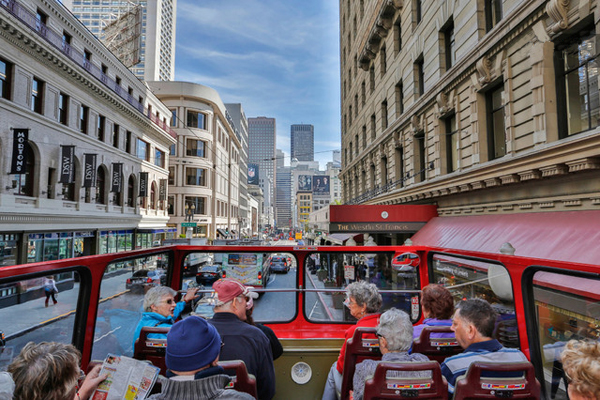 Hop-on and off at over 20 stops to look around the many attractions in San Francisco, before re-joining the tour to continue your sightseeing experience. This flexibility allows you to start the tour at your convenience and enables you to plan your journey with ease. For extra tips to make the most of your trip, go here.